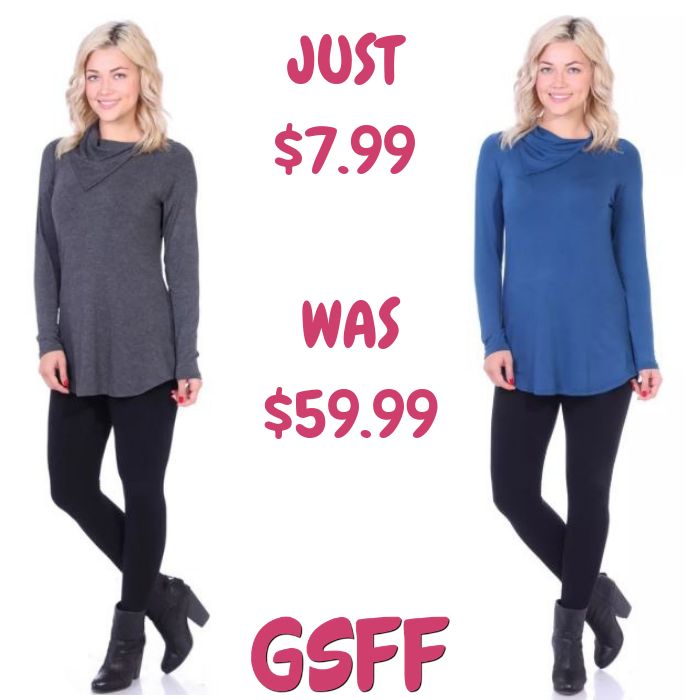 Collar Tunic Top Just $7.99! Down From $60! PLUS FREE Shipping! You are here: Home / Great Deals / Collar Tunic Top Just $7.99! Down From $60! PLUS FREE Shipping! Go to Jane to score this Collar Solid Tunic Top for just $7.99 down from $69.99 PLUS FREE shipping! Flattering on any shape, this long sleeve tunic top has a relaxed fit. Modest yet elevated and elegant tunic top perfect for Fall, Winter, and Spring. Proudly Made In USA.